The last couple of months I've been reworking the Chemistry Development Kit (CDK) handling of Simplified molecular-input line-entry system (SMILES). In this process there has been a couple of discoveries which may be interesting to share. Something previously not provided by the CDK was correct handling of implicit valence. Both the Daylight Theory Manual and OpenSMILES Specification explain the concept for the organic subset. The specifications provide a more detailed explanation but as a simple example with the SMILES '[CH2]=[CH][CH3]' we can omit hydrogens counts and just write 'C=CC'. However, with '[CH]=[CH][CH3]' we must include the count on the first atom '[CH]=CC'. We include the labelled count if the implied count does not match. The OpenSMILES specification explains how we can determine the implied hydrogen count. This approach is simple and elegant for the aliphatic subset with non-aromatic bonds but what about the aromatic subset? One could speculate we have to assign explicit bond orders (kekulizé) a molecule to obtain the correct counts. Indeed the OpenSMILES specification seems to suggest that. "...the SMILES software must verify that electrons can be assigned without violating the valence rules..."
Personally, I do not believe this to be the case and having the correct hydrogen count provides an additional validation if we do assign a kekulé structure. Perhaps how we get the count for the aromatic subset is obvious and doesn't need including in the specification. However as I will show there are a couple approaches used by the different (open source) toolkits. Disclaimer: I may be completely wrong but given the lack of documented explanation on the issue I believe it's important to at least collect some ideas on how it is currently done and how it could be done. It appears that many toolkits use their own internal valence model rather than one specific to SMILES. It is difficult to know all the intricacies of each toolkit but here's what I see from a high level view. Any maintainers of the respective toolkits please let me know of any mistakes and I'll add a correction. The CDK uses it's own valence model via a decision tree based atom typer. The atom typer assigns a formal neighbour count which is then used to infer the number of hydrogens. This piece of code is from the end of the current SmilesParser.java:258-276. The decision tree in CDK is a large if else cascade checking possibly exceptions. // CDK org/openscience/cdk/smiles/SmilesParser.java lines 258-276. Open Babel also appears to use it's own valence model. There are actually two parsers - one of them uses the OBAtomTyper to assign implicit valence (smileyformat.cpp:287-288). The OBAtomTyper uses electron counting and SMARTS patterns. I'll come back to how aromatic bonds are treated later. The other parser assigns bond orders to aromatic bonds after parsing. The code snippet below is at the end of the parser (smilesformat.cpp:516-520). With set bond orders the counting is the same as with the aliphatic subset. RDKit again uses it's own internal valence model. This model is invoked when parsing SMILES if sanitise is set (SmilesParse.cpp:184-198). Interestingly the RDKit internal model uses a similar approach to Open Babel and my first implementation. Frowns also uses the same approach and we will come back to this later. The recent parser written in Scala, chemf, uses a concise decision tree of what aromatic combinations "make sense" (SmilesAtom.scala:38). OUCH also uses it's own valence model. The primary function used is fillValenceAtIndex. Here is the section which computes the implicit hydrogen count - some comments have been added to explain the variables. Essentially the neighbours are counted and the method is recursively invoked adding hydrogens (and lone pairs) until a default valence is reached. In the above function the bond order sum is used. Interestingly aromatic bonds contribute '2' to the sum (Atom.hs:136-148). PerlMol has a valence model specific to SMILES. The parser doesn't have the aromatic bond token ':' and uses a bond order of '1' for an implicit bond. The hydrogen count is computed as per the aliphatic subset - if the atom is an aromatic carbon or nitrogen the hydrogen count is decreased. It's clear there are different approaches and it's tempting to speculate there are still some more differences in closed source toolkits. Of course the implicit hydrogen count of the aromatic subset also maters when generating SMILES. 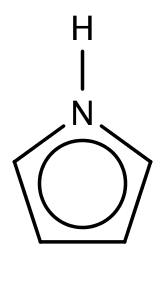 One well known example is of aromatic nitrogens which contribute a lone pair - for example pyrrole. The CDK, Open Babel and RDKit handle this as a special exception when generating the SMILES string. The CDK code refers to this as a special nitrogen (SmilesGenerator.java:1652-1657). Neither CDK or the default Open Babel parser will include the required hydrogen. Note - obabel v 2.3.1 (latest on Mac), this might have been fixed in v 2.3.2.. Adding another conditional (as in RDKit) for aromatic phosphate solves this problem (SmilesWirte.cpp:75-69). Although this will handle most (possibly all) cases if there is a way to assign implicit hydrogen counts no special treatment is needed. As with the aliphatic subset if the implicit hydrogen count doesn't match what we have stored we must include the hydrogen counts. As mentioned earlier, my first approach was the same as OpenBabel, RDKit's and Frowns (something I didn't realise until collecting the information for this post). The approach seems obvious - aromatic bonds have bond order '1.5'. This is of course not true but we will see how this model fits examples. 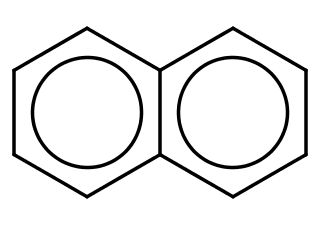 Naphthalene, has two carbons with three aromatic bonds and each with a bond order sum of 4.5 (1.5 + 1.5 + 1.5). This is higher than any specified valence and thus there are no hydrogens. 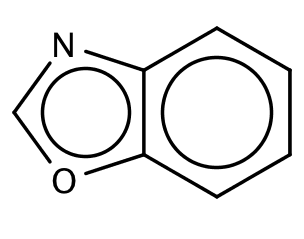 1,3-benzoxazole, has an aromatic nitrogen and oxygen. The nitrogen as two aromatic bonds and thus a bond order sum of 3 (1.5 + 1.5). This is a default valence for nitrogen and so there is no implicit hydrogen. The oxygen also has the bond order sum of 3 which exceeds it's maximum specified valence (2) and again there are no hydrogens. 1H-pyrrole, with the labelled hydrogen (c1[nH]ccc1) will work fine - the brackets mean we don't have to look up the implicit valence. However, what happens if we make that an explicit hydrogen? If we apply our rule we hit a problem. The bond order sum of that nitrogen is now 4 (1.5 + 1.5 + 1). The next highest specified valence is 5 and so we have and additional implicit hydrogen (two hydrogens total)? 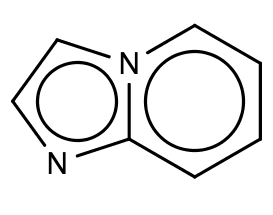 imidazo[1,2-α]pyridine, one nitrogen has 3 aromatic bonds and thus using this model we determine it has a bond order sum of 4.5 (1.5 + 1.5 + 1.5). Depending on whether we choose to round up or down that nitrogen will have either a single hydrogen or none. To fix the problematic examples we need an additional rule. Only check the default valence for aromatic atoms. A justification for this could be that elements which have more than one valence cannot go to a higher valence state as the electrons which would bond those hydrogens are contributed to the pi bonding system. We can see this is also the approach used by RDKit - although RDKit doesn't allow 5 valent nitrogen so this particular example won't occur. Also note that the partial bond order sum is rounded up. // 2.5 to 3 instead of 2 -- so we will add 0.1 to accum. A similar approach is used in Frowns library. The snippet below shows the use of a 1.5 bond order from Atom.py:82-92. Open Babel also uses a bond order of '1.5'. Although in their case they actually count electrons and then divided by 2 (atom.cpp:1000-1015). This avoids fractional bond orders - at least until the division where the fractional part is truncated (5/2 = 2). Using this model will work very well and give use correct results. There are however still some questions, in particular the ambiguity and having to round bond order sums is troublesome. Also we need to know which bonds are aromatic - 'cc' is an aromatic bond and 'CC' is a single bond if we have these as an implicit bond as suggested by SMILES we need to check the atoms in each case to determine if the order is '1' or '1.5'. Additionally I found a couple of examples in ChEMBL where up ('/') and down ('\') bonds are part of an aromatic system (contrived example below). Again we need to check the atoms of those bonds to see if they are aromatic or single. These problems only occur if we have bond labels specifically for handling SMILES but it would be nice to have something more elegant. After using the fractional bond order and testing on some datasets I was relatively happy it solved the problem. Using a bond order of 1.5 will certainly work - pragmatic, yes - elegant, no. Despite this I couldn't shake the feeling that "Dijkstra would not have liked this". I think this is also evident from the comments in the RDKit and Frowns source code (see above). What I now believe is the correct way, or at least closer to the Daylight way is that instead of modifying the bond orders we modify the starting value of our bond order sum. With aromatic atoms, instead of starting at 0 we start at 1. The point of the 1.5 bond order is to increase the bond order sum to be higher for aromatic atoms. We can achieve the same thing by simply changing the starting value of the sum. This also fits in that aromaticity in SMILES is primarily defined by atoms and not bonds. There is the ':' aromatic bond but it is not required (and rarely/never used). In practice this means implicit, single, aromatic, up and down bonds now all contribute 1 to the bond order sum. Of course this is completely bogus but we're not saying that aromatic bond is the same as a single bond - rather just that it contributes a bond order of '1'. This also means that the implicit bond between aliphatic and aromatic atoms 'cc', 'CC' and 'cC' would all contribute the same to the bond order and we can treat them the same. This is particularly useful for cases like '[Te]1cccc1' (ChemSpider:119908). Using a bond order of 1.5 we would determine the bond order sum of each carbon adjacent to the '[Te]' to be '2.5' or '2' (5/2). Rounding up or down we get '1' (correct) or '2' hydrogens. It would seem that PerlMol was nearly there - the implicit bond order in PerlMol is '1' and the hydrogen count was decreased for aromatic atoms. This was only done for carbon and nitrogen though and should be applied to all aromatic atoms. Using this method cleans up the calculation and removes the fractional results. As before we must still only use the default (lowest) valence for multivalent elements. Perhaps there is a more elegant way to avoid that that but it has so far eluded me. I can not say for certain whether this model is correct but it is certainly closer than using a fractional bond order. The well known Depict service from Daylight displays the structure diagram for a given SMILES string. It will also report problems with SMILES. For example it reports that [C]C has unusual valence 1 (normal 2). Now what is really interesting is if we give it some aromatic atoms. It turns out that a single aromatic atom [c] also has unusual valence 1 (normal 2). But wait - there aren't any bonds to that atom but it has valence of 1? Aromatic carbon has no neighbours but has a valence of 1? Let's add one neighbour [c]c - no warning (2 valent carbon is considered okay). Okay let's try something else, c[c]cc has low valence 3 (normal 4). Again there are only two neighbours but it has a valence of 3. The same is also true for nitrogen, phosphate and the atoms in the aromatic subset. This also explains why c is '[CH3]'. Using this approach also allows us to get the correct count for some strange examples. 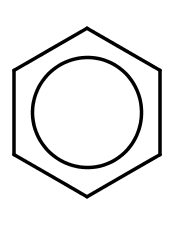 One example could be an acyclic aromatic atom (rejected by some toolkits). This can happen for example with an exocyclic oxygen (oc1ccocc1). Using this approach we reach the correct answer that there are no hydrogens on that sprouting oxygen. This can then be used in the assignment of a correct Kekulé structure. One can see how this SMILES string is interpreted 4 different ways by various toolkits - oc1ccocc1 (Ambit). With this model it also means that when we generate the SMILES we can now check how many implicit hydrogens aromatic atoms should have. Doing so we would say that for pyrrole the implied hydrogen count would be '0'. This does not match our stored value and so we need to include the bracket atom with the labelled hydrogen count. There are of course still some complications - which seem to be when we mix aromatic and aliphatic parts. The fact that the first case here is read as cyclohexane further shows there isn't an aromatic bond order used. With the described model we can't reach the correct answer for (3.). You're unlikely to encounter such a case in a clean dataset but we can modify our model slightly to get the correct results. Instead of starting at '1' we add '1' to the bond order sum of aromatic atoms if the bond order sum is the same as the number of explicit neighbours. Indeed this agrees with Depict that 'c[c]cc' has a valance of 3 but '[c]=c' has a valence of 2 (if we started at '1' it would also be '3'). Hopefully this has provided some insight or at least show how the implicit hydrogens can be counted in aromatic SMILES. Re-reading back through the mailing list it seems this has of course be discussed (at least partially) - no decision was made. As usual the sourceforge mailing archives are a pain to find stuff in but the discussion  is summarised on the OpenSMILES repository . As I see it there are three models which can be used. Use bond order of 1.5 for aromatic bonds. Reduce the hydrogen count for aromatic atoms - also attempts to allow this to specify radicals (C1CCcCC1). This has many problems but that would need another post. Increase the valence by 1 if there are no double/triple bonds.